A calm, rested body puts us in the best place for healing, recovery, and growth. Massage is a formidable instrument in awakening our body’s inherent power for healing and healthy growth. Massage activates our parasympathetic nervous system responsible for rest, calm, and recovery. Massage can put your body in that state of rest that is necessary healing and healthy growth. She will skillfully and professionally customize a therapeutic massage session to address your specific health and wellness needs, no matter what ails you. A Personal Health Advocate can review and manage your health concerns so you can rest your mind. There is an overload of “health” information out there. Not all of it is valid. It is difficult to sort through the endless noise to obtain legitimate scientifically-based sources. It’s even more difficult to understand the complexities of the human body and figure out how valid evolving medical science applies to each individual’s need. Melanie Croce-Galis can help you sort out what is evidence, what’s scientifically promising and what’s just wishful thinking or marketing schemes. She will answer your questions, carry out customized research for you, help you achieve your health goals and will look at your health holistically so you will feel confident in your healthcare decisions. Your mind will be at ease with the knowledge that you are fully supported. She will help you keep your compass pointed towards calm, rest, healing, recovery and growth. Melanie Croce-Galis does not diagnose illness, prescribe or treat. She is an educator and a health communication specialist. Her services will enable you to have more productive interactions with your healthcare provider and do not in any way replace them. 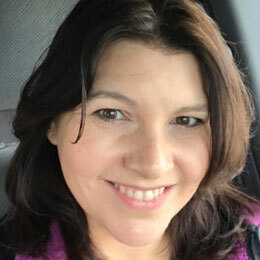 Melanie is a Registered Nurse and a Licensed Massage Therapist with a Master’s degree in Public Health Education who centers herself at the intersection of science and spirituality. She looks at the evidence. And also acknowledges that there are still unknowns in our world. Melanie has authored numerous peer-reviewed and other publications and teaches classes on medical terminology and health and human diseases as an adjunct faculty member in the Public Health department at Montclair State University. After a rewarding career promoting women’s rights in sexual and reproductive health policy worldwide, teaching university students about health and disease, and experiencing a personal bout with cancer, she has concentrated on health and wellbeing. Melanie provides therapeutic massage with a whole health perspective and can help you navigate the difficult waters of health, wellbeing and the medical industry. She’s also a mom with experience managing special educational and medical needs and knows how hard it is for moms to take care of themselves too!